Great news on the Internet pharmacy front for pets! The National Association of Boards of Pharmacy has announced a new program for accrediting pet Internet pharmacies, Vet-VIPPS. Although not as commonly discussed, some online pet pharmacies also cut corners, dispensing prescription drugs to a pet owner even though the veterinarian didn’t physically examine the animal. Vet-VIPPS was developed to assist the states in their efforts to maintain control over the Internet-based distribution of prescription drugs and devices for non-food producing animals as well as hold Internet veterinary drug distributors accountable for meeting patient/client safety practice standards. 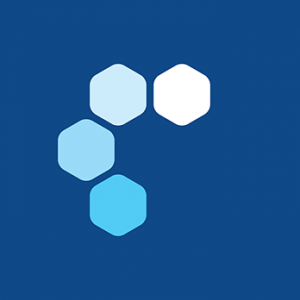 The Vet-VIPPS criteria, which is based on the Association’s original VIPPSÂ® criteria, will also incorporate new criteria specific to veterinary pharmacies. In order to receive Vet-VIPPS accreditation, Internet veterinary pharmacy practice sites that dispense prescription veterinary drugs for use in companion and non-food producing animals such as dogs, cats, and horses must be licensed in good standing with their respective state boards of pharmacy, and also adhere to Vet-VIPPS criteria and program requirements. Pharmacies that dispense medications for food-producing animals are not eligible to receive accreditation. The NABP’s VIPPS (Verified Internet Pharmacy Practice Sites) program is the gold standard of Internet pharmacy verification, and any VIPPS-accredited Internet pharmacy is granted recognition as a LegitScript-verified pharmacy website. LegitScript has recognized four Internet pharmacies exclusively focused on pets: petscriptions.com, vetrxdirect.com, allivet.com and drsfostersmith.com. 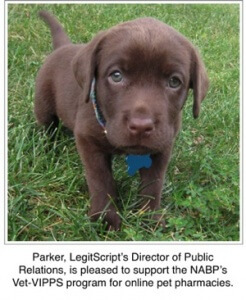 As with all other pharmacy websites we approve, we (well, LegitScript’s Director of Public Relations, a six-month old puppy named Parker) urge these and other veterinary Internet pharmacies to become accredited through the NABP’s program.